.Every so often art is created with brick and mortar..... 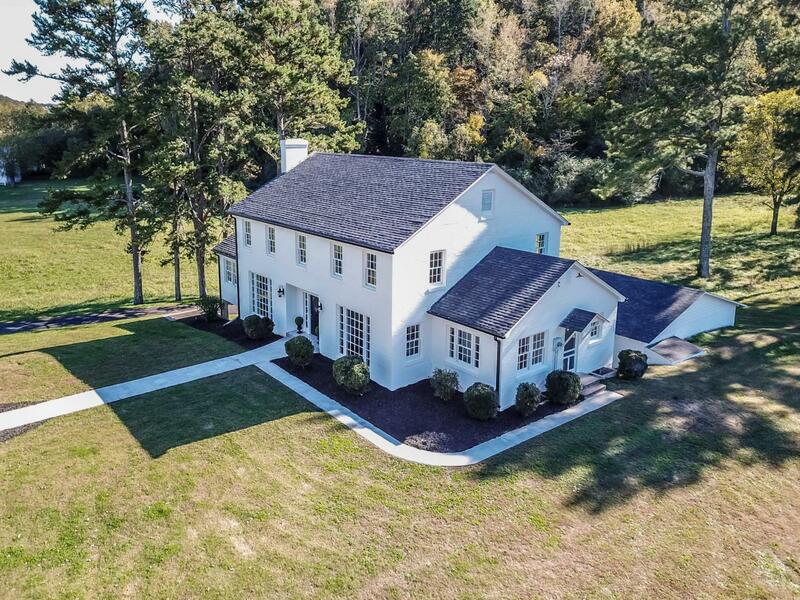 This classic southern colonial estate rests on 6.94 acres over looking the gorgeous mountain views. Timeless appeal greets you upon entering this historic and rare offering in downtown Dayton. This elegantly renovated brick home combines true historic touches coupled with modern technologies and conveniences throughout to create the ultimate retreat for those who value the exceptional. The custom wood work and attention to detail make this home a living masterpiece. Modern amenities include an updated kitchen with quartz countertops and stainless steel appliances. This beautiful home features five bedrooms and 3 1/2 baths. What a perfect home for entertaining family and friends.The main floor boasts the formal living room with attached sun room and the formal dining room provides a brilliant space to dine and entertain family and friends. Also on the main floor you will find the master bedroom with a large cedar lined closet and the large master bathroom is certainly the place for relaxation featuring a large soaking tub, spacious shower, his and her vanities and double closets. The main floor also features a nice size laundry combined with guest powder room. At the top of the staircase, you will find a perfect sitting area that is surrounded by four bedrooms grand in size with each large closet being cedar lined and two beautiful bathrooms to accommodate your family and guests. The property also includes an oversized two car detached garage. Downstairs in the unfinished basement, you will find poured concrete walls which was unheard of in 1950s for residential properties and has the potential to add a possible game room or man cave, it also has been plumbed for a shower and full bath. The downstairs also is connected to an outdoor covered patio for summer gatherings. Historically known as the "Old Able House" and the locals say that this home has been visited by many famous people such as moviestars and old presidents when they were in town to visit Mr. Able who was a very well known man and loved by many in Dayton. The owner's also was able to keep the original chime doorbell, so be sure and ring it. After you see this beautiful home, I can hear you saying "Frankly my dear, I'm buying this house!!!!"